One of the things we love most about Thailand is the food. There is no better way to try local food than from the street vendors selling tantalizing and authentic dishes. It’s a good way to dive head first into local culture. 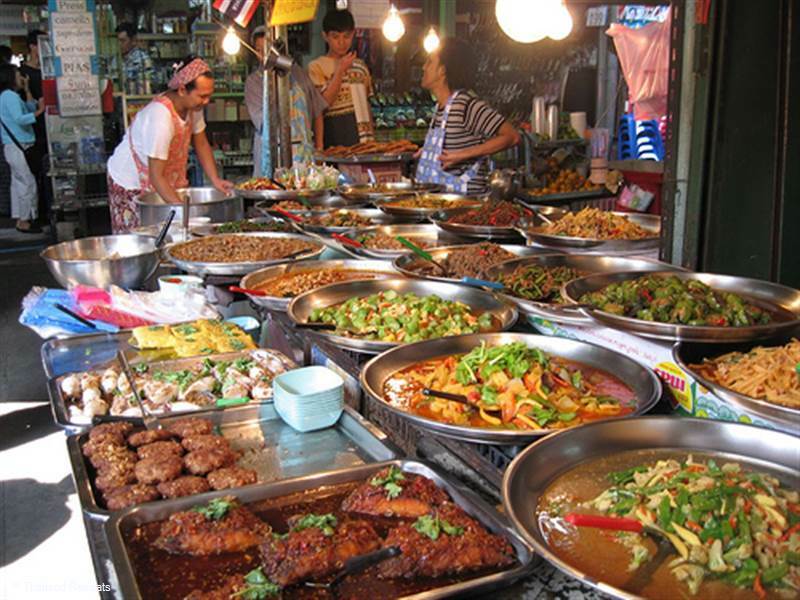 So where is the best place to find street food in Samui and what dishes are worth a try? 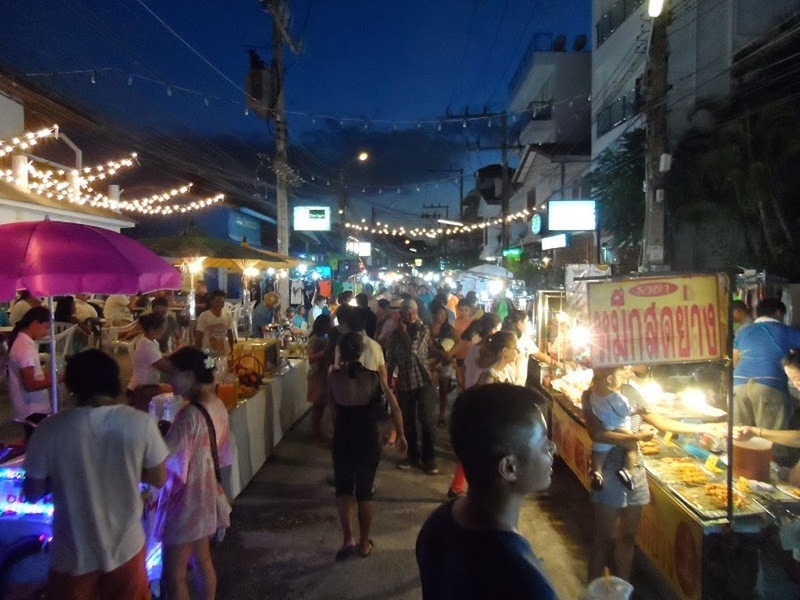 The walking street markets are a great way to experience street food. There is a lively and friendly vibe and you can spend an enjoyable evening sampling dishes from several vendors. 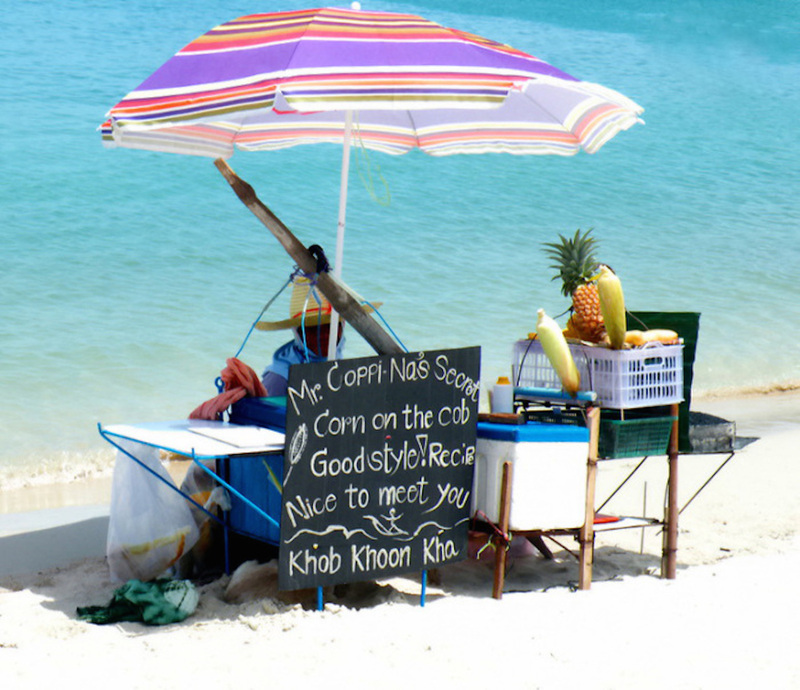 As you laze away the days on the beach you’ll find some tasty food makes it way to you. Favourites include chicken satay, barbecued corn on the cob and fresh pineapple, mango and papaya. The best vendors to look for are those that are cooking fresh whilst you watch. If a stall is popular with locals and other tourists it is likely to be good. Check if the cooking area and its surrounds look clean. You need to be careful of drinking local water, so take care with fruit that may have been washed in it. You may wish to rewash with bottled water or choose fruit that can be peeled. Avoid food that has been laying out uncovered or hot food that has been uncovered for some time. This is a lively and the most popular walking street market market frequented by tourists, locals and expats. There is a huge range of street food on offer and also delicious cocktails. It’s a great choice for people watching and trying both local and international food. There is also an intersection in front of the Bophut pier with a stage that sometimes has local acts performing or local children demonstrating Thai dancing. This market operates on a Sunday evening and two side streets are dedicated to food and drink. The range of food that is available at this market is very impressive. 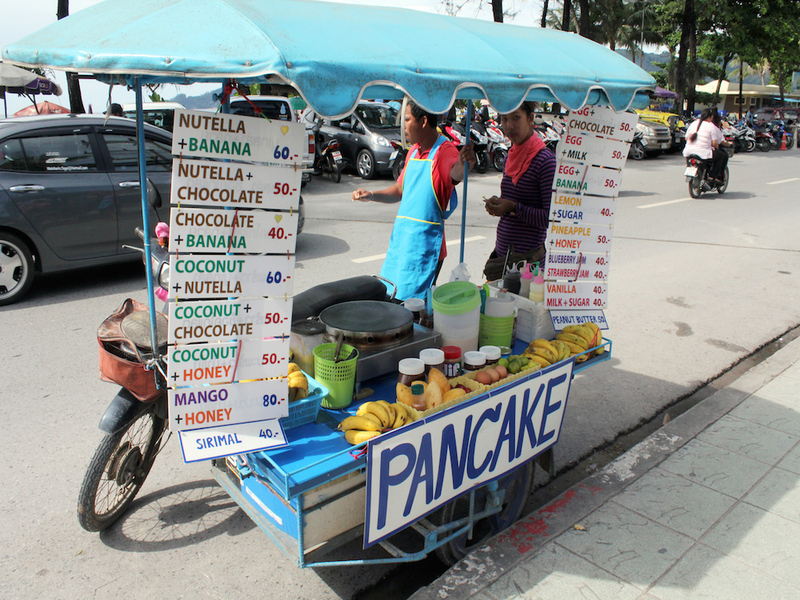 You can buy everything from fresh fruit and vegetables, deep fried fish, barbecued duck, pancakes and Thai style waffles here. This market operates on Thursday evenings. It is located on the north side of the island. It’s a nice, small market and quieter than Fisherman’s Village. The market offers delicious street market food and some local delicacies like fried grasshoppers. You’ll also find green lipped mussels, shredded pork, noodle soups, tom yum. It’s definitely a market to check out. On Saturday evenings, Nathon’s seafront plaza transforms into a sprawling walking street. 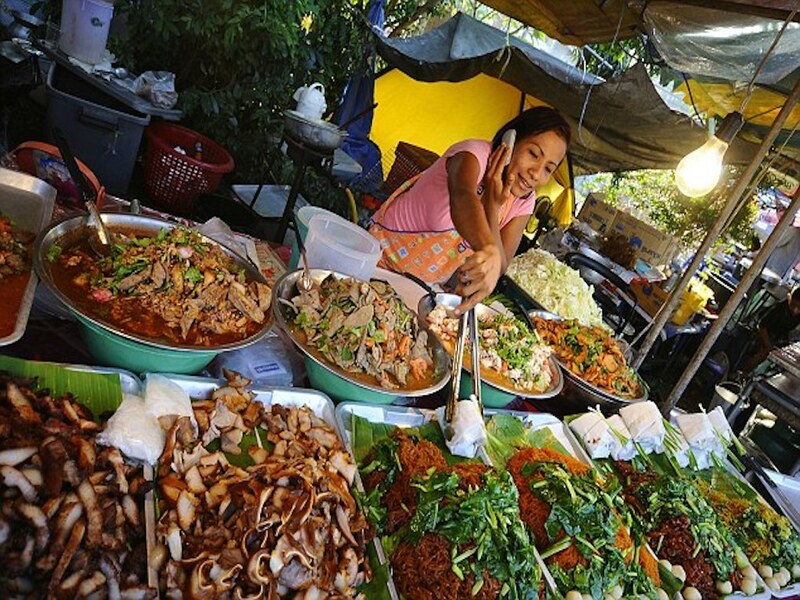 You will be spoiled for choices, as almost every Thai street food delicacy is available creating a continuous buffet and is reputed to have the best Pad Thai on the island. Tastes are authentic and prices cheap. Just grab a plastic stool if you can and eat and people watch. Phad Thai A stir fried noodle dish with egg, tofu, tamarind, fish sauce, garlic, shallot, chilli, sugar and soy. It often has shrimp or chicken added too. Chicken Satay The meat that is threaded onto a bamboo stick, grilled over an open flame and served with peanut sauce and a side of cucumber, shallots and chillies in sugar syrup. Kalamae - a sweet and sticky candy made from rice flour, palm sugar, and coconut cream.